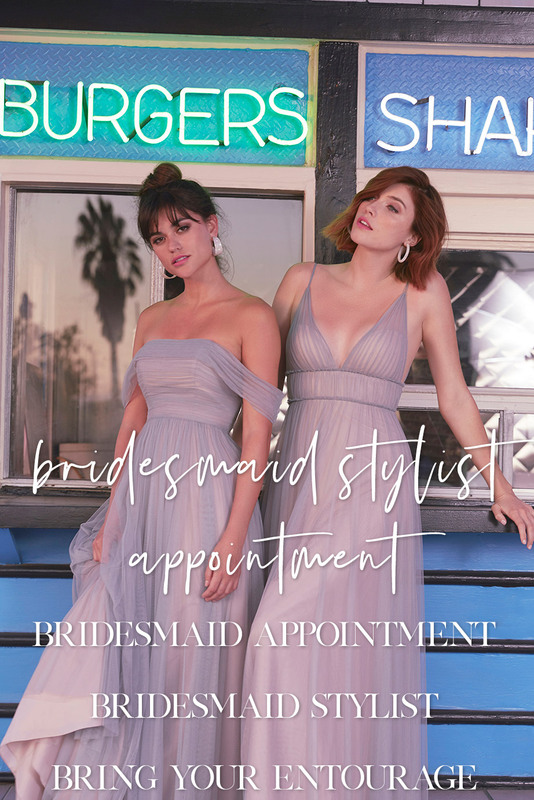 Please remember to be courteous to our Bridesmaids Stylists. We are not a try-on store if your intention is to purchase on the internet. Many advertised internet prices do not include duty and shipping fee's which can be an additional 25% per dress. When you take advantage of our incentives, we are priced extremely competitively. Why not get a great price without sacrificing the quality and the service which makes it hassle free - let us do all the work. Internet styles may not be authentic or substandard quality. 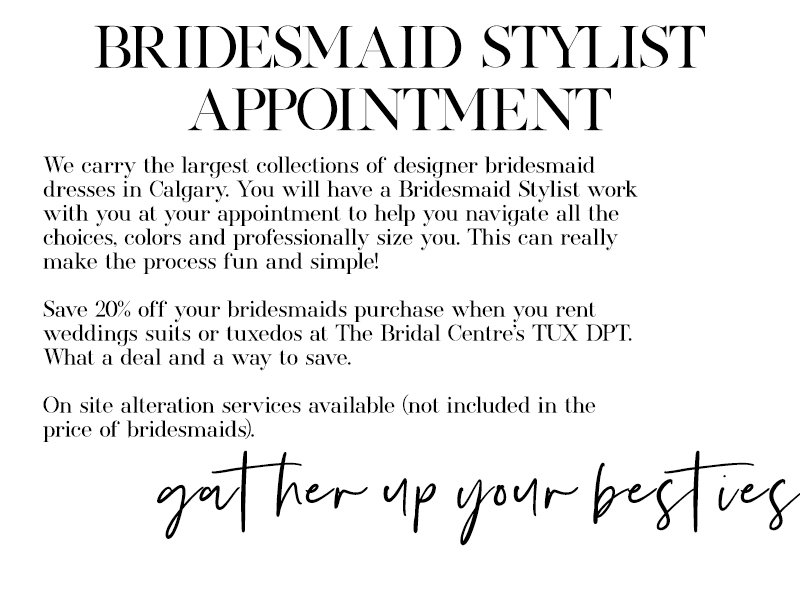 Let our stylist know about your wedding dress for inspiration!